A remarkable comprehensive tasting at Bond Estates in March spotlighted the consistently high quality of the Bond wines and brought their distinctive terroir character into sharp relief. Two thousand seventeen marks the unofficial 20th anniversary of Bill Harlan’s Bond project, which the Bond website describes as “A portfolio of wines that are diverse in their geographic representation and 'grand cru' in quality, all under the umbrella of one philosophy, one team, one mark.” Like Harlan Estate and its owner’s more recent Promontory endeavor, the Bond project grew slowly and organically. A recent comprehensive tasting at Bond in March showcased the portfolio’s consistently stunning quality and made their distinctive site qualities easy to appreciate. While running Merryvale, Harlan had contacted more than 60 Napa Valley growers for fruit, many of them personal friends and business associates. In 1991, Harlan took on Swiss businessman Jack Schlatter as a partner in Merryvale. At that point, in addition to buying fruit from local growers, Harlan declassified some of his own fruit and sold it to Merryvale, where it was used to make a wine called Oakville Grade, which later became The Maiden under the Harlan label. Harlan was chiefly interested in making wines of site on an artisanal scale, while Schlatter and Merryvale were moving in the opposite direction and expanding rapidly. Merryvale then bought out Harlan and his partners outright in 1996. Harlan subsequently invited his two favorite Cabernet producers—the owners of the vineyards used to make the Melbury and Vecina wines—to come with him to Oakville and become part of his new Bond project. The first harvest for these wines was in 1997, and the first commercial release was the 1999; from the start, the objective of the Bond project was to demonstrate the diversity and individual character of various top Napa Valley sites. The wines were made, along with the Harlan Estate flagship, at Harlan Estate’s winery on the property. After the harvest of 2000, a new winery was constructed nearby for Harlan Estate, and the old facility became home for the Bond wines. The Bond sites are all located on hillsides. 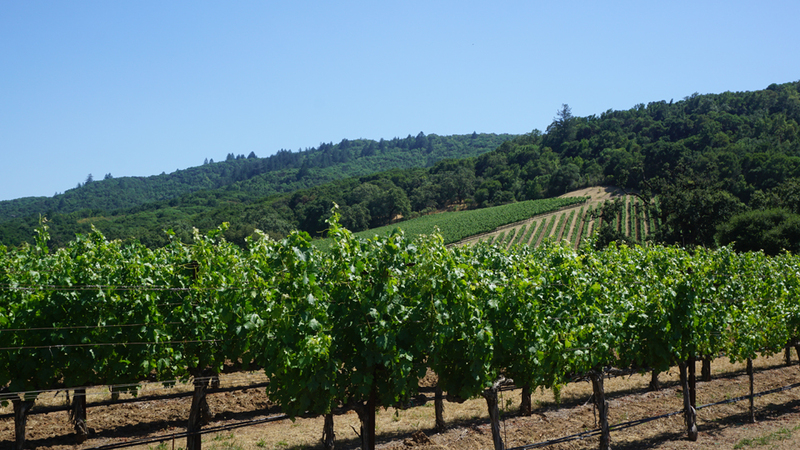 Typically, they are large properties with small gem-like vineyards ranging from 7 to 11 acres in size. Annual production of each of the five crus is generally in the range of 450 to 600 cases. Bond has total viticultural control over its various sites but does not own them; they purchase the fruit under so-called evergreen contracts that renew every year for the following ten years. Bond’s focus has always been on Cabernet Sauvignon. St. Eden originally featured a small amount of Merlot but it was never used in the blend and was eventually T-budded over to Cabernet. Pluribus also had a bit of Merlot that was never used. Similarly, Bond’s emphasis has been on the brand and on the proprietary names of the wines, not on the vineyards or their owners. But although the five Bond bottlings are not technically vineyard-designated wines, Bond has followed the rules of such wines, which forbid adding more than 5% from off the property. 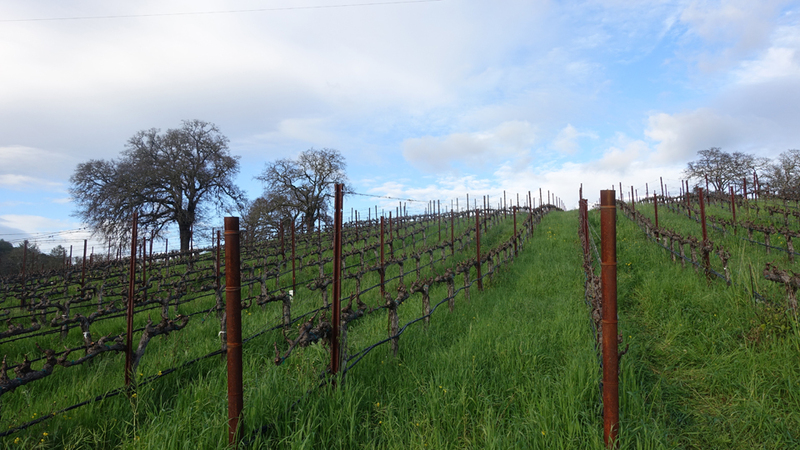 Melbury is a rocky, steep 7-acre south/southeast-facing vineyard planted in 1991 in the hills east of Rutherford on the slopes north of Lake Hennessey, at an altitude mostly between 400 and 500 feet. With soil that features a high percentage of clay, the wines it produces are typically round and velvety, displaying as much red fruits as black. Melbury rarely shows the sheer density of the Bond wines that come from vineyards lower on the slopes; it’s known more for its elegance and for its aromatic spice and floral components. Vecina is actually situated directly southeast of the Bond winery, on terraced volcanic soil slopes in the western foothills of Oakville at an altitude ranging from 221 to 330 feet (the Harlan Estate vineyards climb to 1,225 feet). The 11-acre site benefits from the cooler morning sun as well as cool air at night but afternoons are very warm. Vecina is typically a powerful, layered wine with a huge amount of color and tannins; it is invariably a mistake to open bottles too early as it is normally the most backward of the Bond bottlings. Pluribus is a steep 7-acre site on volcanic bedrock at an elevation between 1,100 and 1,300 feet on the slopes of Spring Mountain, with exposures to the north, east and southeast. The vineyard is surrounded by a conifer forest, which often gives the wine a cedary quality. 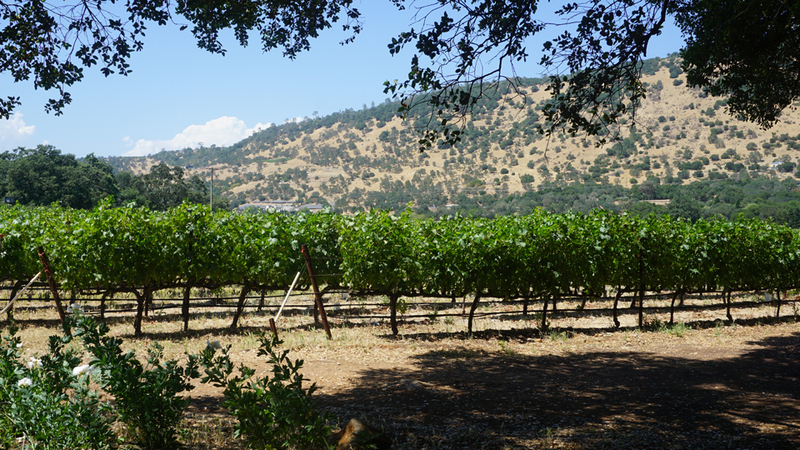 As the vines are protected by afternoon shade, the serious mountain tannins of the Pluribus wines typically show a racy quality owing to sound levels of acidity in the grapes. Finally, Quella comes from a steep southwest-facing 9-acre site planted in 1998 in the eastern hills overlooking Napa Valley. The site is an ancient uplifted riverbed composed of cobble and rocks interwoven with pockets of volcanic ash. Of the Bond sites, it typically produces the lowest crop level and its wines are focused and structured yet with a delicacy and often a saline quality. “The wine is all about fabric and weave, about levity,” noted Empting. “It jumps out of the glass. It’s more Haut-Brion than Latour.” The altitude here ranges between 433 and 595 feet. Initially the intention was to make the Bond wines just like the Harlan Estate, in order to privilege terroir differences. The mostly spontaneous fermentations take place at moderate temperatures (ideally between 78 and 82 degrees F.) According to Empting, the team doesn’t work the juice very hard at the beginning but carries out up to four pumpovers per day (as well as punchdowns) during the peak of fermentation. As at Harlan Estate, extended macerations are the rule here, although the duration of post-fermentation maceration on the skins now varies widely depending on the structure of the various crus, with Quella typically spending a total of 30 to 40 days on the skins, while Vecina can get up to 65. As the team carries out numerous small vinifications for each wine, based primarily on the different ripeness levels of each pick, the various lots of wine are aged in barrel (almost entirely new, and predominantly Taransaud, Sylvain and Darnajou) as separate components for the first year before the team begins to assemble them. “If we’re doing well, we will eventually use 60% of the fruit,” said Winemaker Empting. Part of the remainder goes into Bond’s Matriarch blend, but Bond still sells off about 20% to 25% of each wine. Bottling ultimately is done during the third January after the harvest, with slight variations depending on the cru (Quella and Melbury are now often bottled slightly earlier) and on the requirements of the vintage. Over the years, as the team amassed more experience working with the fruit from each site, it became clear that flexibility was necessary so the team has accordingly modified its techniques for certain Bond wines. For example, barrel fermentation, which had been piloted at Harlan Estate but was found not to suit the tannic profile of the site, proved to be beneficial for inherently tougher wines like Vecina and Pluribus. Nowadays, all of the wines are at least partly barrel-fermented, according to Director of Winegrowing Levy, who added that this approach keeps fermentation temperatures a bit cooler, retains a higher percentage of whole berries and results in a somewhat gentler extraction while building up the middle palate of the wines. 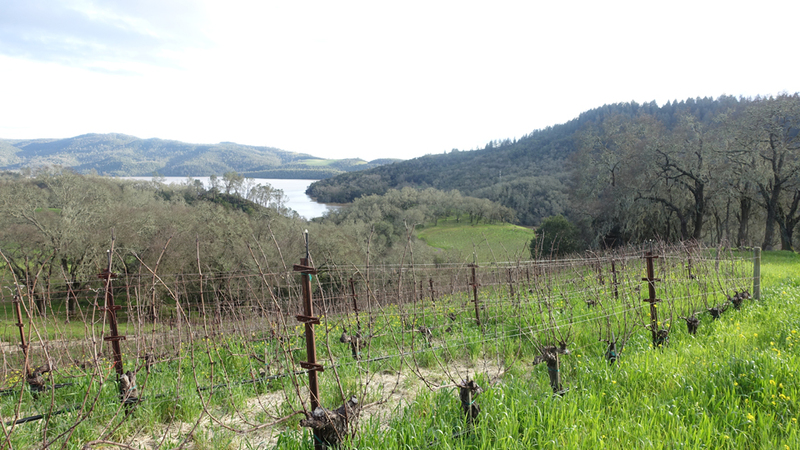 But most of the recent innovation at Bond has occurred in the vineyards, not in the winery. Famed vineyard manager David Abreu took care of all of Harlan’s numerous vineyards in the early years (he also planted Melbury and prepared the Pluribus site for planting) but in the past dozen years or so, this work has become the responsibility of Bond’s in-house vineyard manager Mary Maher, who joined the original core team of Harlan, Weaver and Levy in 2001. Virtually all of the many measures she has introduced are designed to achieve more refined tannins, to slow the uptake of sugar in the grapes, and to allow the sites to be dry-farmed—all of which innovations potentially contribute to wines with clearer terroir signature and more obvious minerality. Winemaker Empting gave me a remarkably detailed description of some of the techniques the team has taken to reduce soil temperature and to preserve the limited moisture in the soil, including “crimping” the grass so that it absorbs less water (Empting noted that the team has four different ways of cutting grass “depending on the soil temperature we want’) and using biodynamic mulching to activate microbiological communities in the soil. 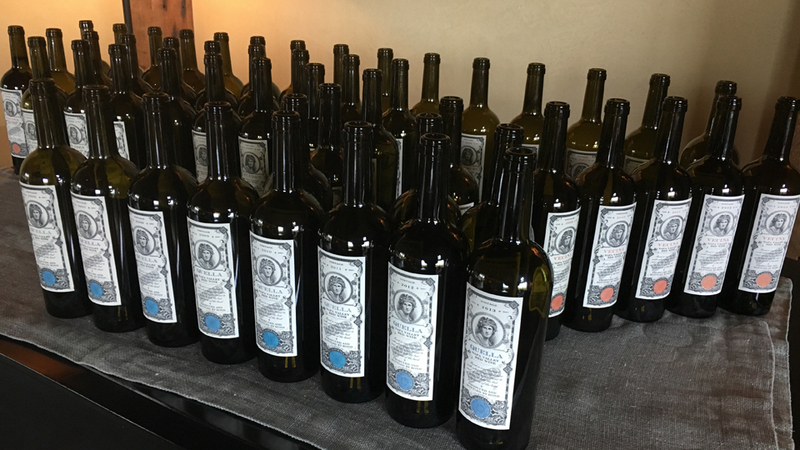 At the event in March, attended by Bill Harlan and the key members of his team in addition to myself and Antonio Galloni, we had the unprecedented opportunity to taste every wine bottled to date under the Bond name – 67 wines in total. It was a full day of Cabernet indulgence, as well as a rare opportunity to appreciate, up close, the level of expertise and the attention to detail that are necessary for producing great, ageworthy wines. Needless to say, the series of complete verticals offered an extraordinary opportunity to appreciate the differences among the crus. While the overall quality of the wines was strikingly high, and while certain vintages impressed more than others, it was also clear that the various sites, owing to their different altitudes, soils and exposures, can perform better under different sets of climatic conditions. To cite just one example: Quella can be rather tough in hot vintages, as can Melbury, in spite of the water-holding capacity of its clay soil. While Levy noted that there’s no reason the Bond wines cannot age as long as the Harlan Estate, the tasting suggested that the Vecina wine will be especially long-lived, while Quella clearly possesses less phenolic material. Some of the early St. Eden vintages struck me as very ripe, and these wines appear to have reached their peaks, even if they will continue to give pleasure for at least several more years. But the more recent vintages are likely to evolve at a slower rate. And recent vintages of Pluribus show more elegance to go with the wines’ power. With very few exceptions, the wines I tasted did not show signs of mature aromas going back at least to the 2005s, so if you can afford these beauties and would like to drink them at their best, you really must be in a position to give them a good, constantly cool home for extended aging. Both Weaver and Levy have long said that the wines typically show primary fruits for their first seven or eight years, then go through a short dumb stage before emerging at about age ten with secondary aromas. But I tasted numerous decade-old wines that struck me as still short of their planes of peak drinkability.